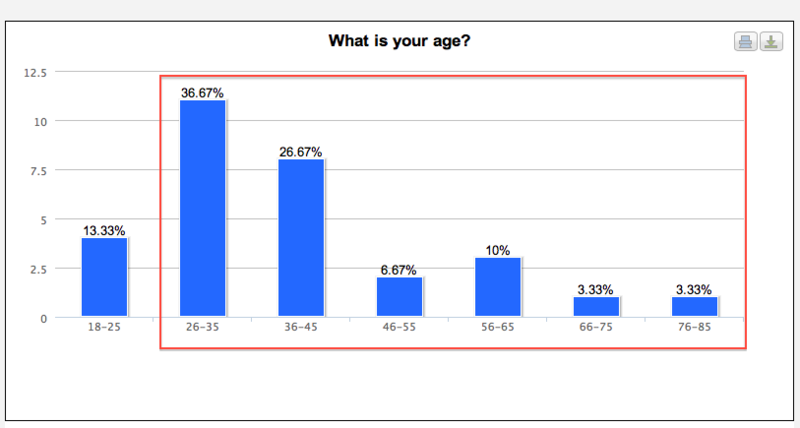 We learn from Question #1 that the majority of passengers are 26 and older. 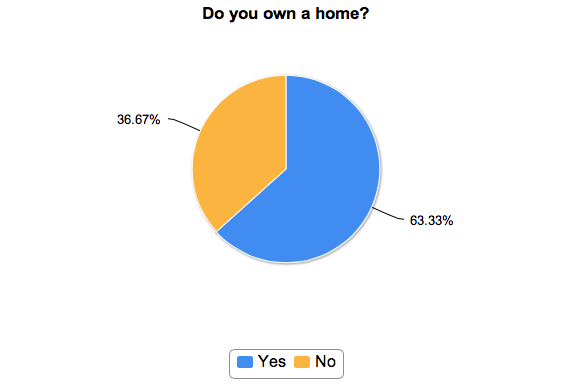 We learn from Question #2 that more respondents own a home than not. 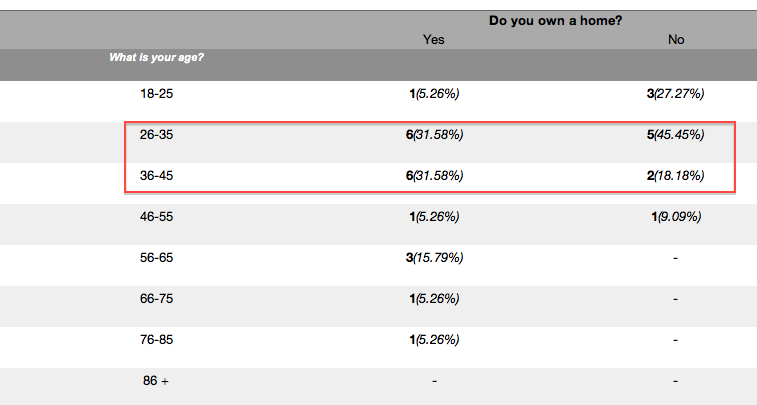 Now, we could just assume that the homeowners in our sample are most likely in the older demographic. Using cross tabulation we have extracted hidden information from our report and can now confirm that our assumptions were, in fact, incorrect. The 26-45 crowd (highlighted above) dominates 63.3% of the housing market in our small survey sample. 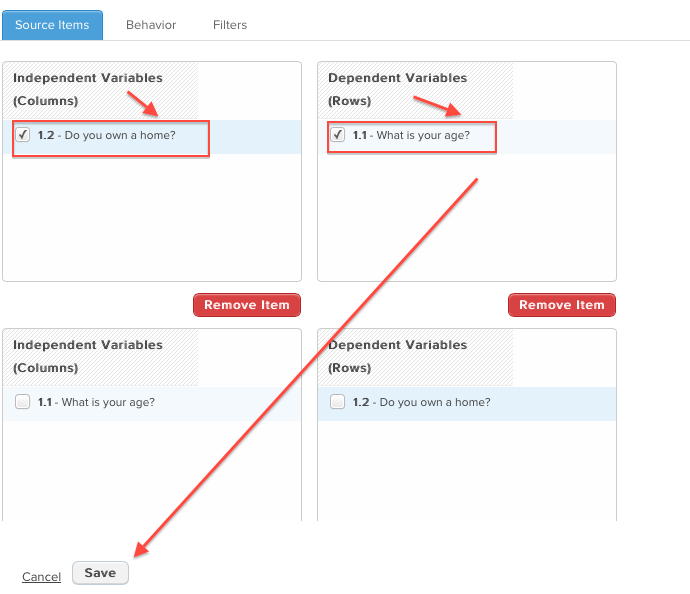 Digging deeper, by comparing these two questions we are not only able to determine what percentage of the “general population” owns a home, but what percent within each age demographic own a home. 4. 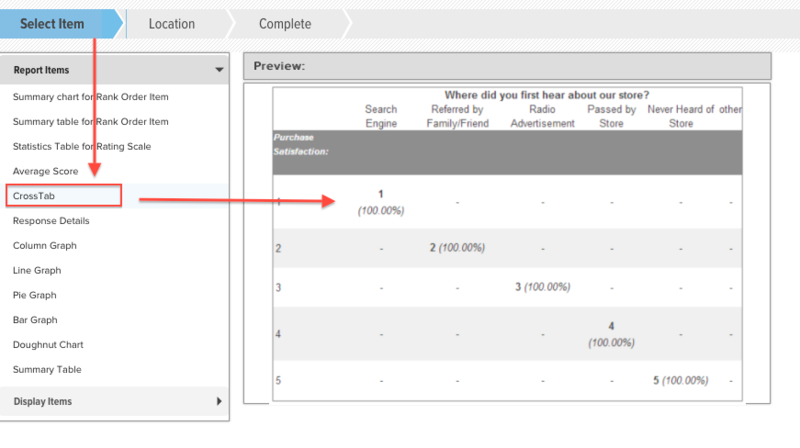 Select Save and refresh your report to view the new cross tab item.